So this year was our first ever summer family holiday. I know it seems weird it took us so long, but time just seemed to take over (Curly Headed boy was 5.5yrs this summer). So when we came to book for a family of four I was HORRIFIED by the price. Clearly all of us in one hotel room wasn’t going to work, which meant paying a premium for two interconnecting rooms in a so-called ‘family’ hotel. More like ‘rip off the families now they have realised how expensive it is and can’t give the kids back‘ hotels! The big hairy northern one has a slightly different view of holidays (rather keener on luxury), which would then scare the hell out of us when we priced them up. I’m sorry, but hardly any two week holiday can really live up to that kind of cost. So, this time I strongly insisted that I thought that all we needed was a really simple holiday. No gimmicks. No water parks (which seemed to be included in lots of ‘family’ hotels). Just a beach, the sea and a pool. So at the beginning of the summer holidays we popped off to Cyprus to the Kefalos beach to one of their one bed apartments. I can REALLY recommend it if you are thinking of where to go with the family. It’s not posh or swish apart from the reception area and the bit for weddings, it’s a four star hotel and thats what you get. Room: Curly Headed Boy and the Hairy Northern Hubby slept in the bed room, because I co-sleep with Little Dimples and was worried she would fall between the two single beds. The sofa bed I was on, wasn’t comfortable, but it was OK for 2 weeks. We took foam bed bumpers with us to keep the kids from falling out. We also spent extra on a sea view, which was gorgeous. We knew that we might end up home early, so wanted the view so that we could have a drink looking out to sea, while baby-sitting the kids, and it was definitely worth it. It was a great size, and well taken care of by the cleaners. I did do a couple of loads of washing, as with half a suitcase full of nappies, we had limits on how many clothes we could take. One family we met had been made to book two apartments because there were 5 of them, which would easily fit into a one bed apartment; I recommend getting hold of the hotel direct if this is your situation. Time: We left on July 20th and got back on Aug 3rd. It was starting to get really hot in the second week, I don’t think I would have liked it later on as much if we had gone later. Plus, there were no mosquitoes, but apparently they do appear. Little Dimples is dark skinned like me, so she tanned well with factor 50 twice a day. The big hairy northern one thought he would use something less; bad idea, he had to wear a T shirt for days after burning. Curly Headed Boy is red headed and pale, which was a problem, and we did need to use the full on swim shirts and trousers for him because otherwise he could burn. Breeze: The reason it was so fab was because there is a breeze off the sea, which makes the heat totally bearable. This is one of the big reasons why we were so lazy and didn’t bother to eat elsewhere or go on any trips. Entertainment: If you want extra kids clubs then book through Thompsons, as they also do a couple of evening 5-7pm parties as well as daytime clubs. But the hotel entertainment was perfect (we didn’t know about it when we booked), so we didn’t really need the Thompson one as well. Plus the mini-disco is a must; we are now experts at the birdie dance, and superman (don’t be a boring parent, get up when they ask you to do the last 2 dances and don’t leave your poor kids alone). Busyness: It did get busy, but many people seemed happy to have their beds on the grass, rather than round the pool; probably because of the breeze. Little Dimples (17 months then) found the older girls wanting to play with her like a doll too intrusive and the noise a bit much after a while. So she would insist on going to the beach twice a day, once for a nap, and once to chill out playing in the sand. I did find that the only time I could do a ‘proper’ swim was before 10.30 in the morning or later in the day, as it did get very busy. But there was always the sea, and I’m not that energetic, so it wasn’t a big problem. Beach: Some people didn’t like it because it wasn’t a perfect sandy beach. It’s not pebbles, but its not soft sand either. In fact there were the most incredible tiny shells everywhere, so I assume it was sand that hadn’t been broken down enough yet. It’s perfect if you hate getting all sandy, because it comes off easily. But you would want beach shoes/flip flops. We could still make the all important sand castle/fort with it, so that’s what’s most important, and it didn’t go in the kids eyes like sand often does. Sea: Could be quite rough some times, which Curly Headed Boy loved, as he had a little float board and could pretend that he was learning to surf. It was really shallow, but had slippy rocks and some seaweed, so again beach shoes would be needed. You could go for a swim off the peer, which I did a couple of times, and really enjoyed it as it didn’t get deep (I always imagine monsters when I can’t see the bottom). Food: We were B&B, so we bought sandwich & fruit stuff for lunch to get the kids out of the sun, and then ate in the dining room or taverner or sea food restaurant in the evenings. All in all, it worked out less than if we had gone to an all inclusive hotel, and with young kids we had greater flexibility. I was worried that I would still feel that I was having to do all the chores, but just having a general reduction was lovely, and the Big Hairy Northern One was very helpful; it just showed how much easier daily life would be with an extra pair of hands. People: I really liked the people at the hotel. There were a lot of dutch, whose kids mixed with no problem with the english. Most of the english people seemed to be from a sort of background that isn’t really shown in the media, kind of a mix between working class and middle class, but better than that sounds. I’m not sure I can explain it, as the whole class system thing is a bit odd to my mind. But basically, Curly Headed Boy made some lovely friends, and I knew that I didn’t have to worry about them being a ‘bad influence’ or being horrid, and that he was really happy. Plus I like a chat, and got to talk to some really interesting lovely people, so I was happy too. Flights: It was either rubbish flights in or rubbish flights out. We chose rubbish flights out (setting off at 11pm) and I don’t think that was a good plan for a young family! So would be go back? Yes, we would definitely go back. But, afterwards we went to the Just So Festival, which I am really taken with, so I’m more thinking about doing a few festivals next summer, and taking a 2 weeks holiday in Easter or October if we can afford it. A big thank you goes out to the waiters for cheering up Little Dimples whenever she was unhappy in a high chair; the entertainments team for being packed full of energy, and the lovely families that we met. p.s. Always check out tripadvisor when looking into a holiday, so that you can get a feel for whether a hotel will suit you or not. p.p.s This is not a sponsored post. I’ve not come across your blog before and was reading through some of your recent posts. I’ve looked into Cyprus recently but for winter sun and thought you might be interested in this too: http://www.thanosdiaries.com/ It’s a hotel blog but it’s got a whole Cyprus section and the hotels look super family-friendly. I’ve never been but thought it might be helpful if you do go back to Paphos next year! Thanks Chloe I’ll check it out. Keep on running! 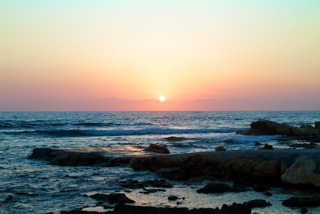 We took a last minute deal in May 2010 to go to Paphos and stay at the Hotel Kissos. This holiday was the best we had had. The people in Cyprus were very kind and caring. The hotel we stayed in treated us like their friends inviting us back to their home or to go places like fishing on their boats. The children were spoilt by the staff, nothing was to much trouble. There was building work going on but that didn’t bother us as everything else was so good. Coral Bay was a lovely beach, we went there every day and got freindly with the beech attendent. If you ever get the chance try Cyprus Paphos for a quiet friendly sightseeing holiday.